Since 2007, thanks to the support of the Harvard Labor and Worklife Program, the Wage Indicator Foundation started to collect data on workers in nine countries (Argentina, Belgium, Brazil, Finland, Germany, Netherlands, Spain, United Kingdom, United States) and across all industries which cover the key dimensions of the attitude to work that I identified in Critique politique du travail. In association with Professor Richard Freeman, we analyzed this self-selected sample of 100,000 individuals. 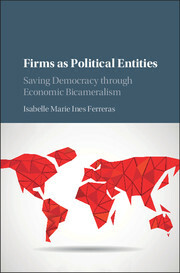 It let to the strengthening of the perspective I have developed, and has led to the development of several field research projects with Julien Charles and Auriane Lamine in particular, on organizations in democratic transitions, and on the über-positive case of SMart and the transformation of wage work in the gig economy. I am working with the political theorist Hélène Landemore (political science, Yale) on a joint project examining the firm, and the life within, from the perspective of political theory. Our joint paper has appeared in Political Theory. With the support of the Wage Indicator Foundation and the Labor and Worklife Program at Harvard again, Richard Freeman, Sanjay Pinto (U. Columbia, NYC) and I have included since May 2014 a new module of questions on patterns of worker ownership and control in the Wage Indicator survey in 16 countries. The international collaborative research project on the Political Dimensions of the Globalized Firm brings together an innovative group of scholars in an intensely transdisciplinary effort. It is also known as the Endicott/Dictate.me.not Society, as it meets annually in January in Dedham, Mass. at the M.I.T. Endicott House.